For all of you who are also frustrated by the cold & rainy weather, I have compiled a summer lounge video from last year's Tom's Club. It is from our little mountain Kahlenberg (484m), which lies in the 19th district of Vienna, and gives a marvelous view over the city. 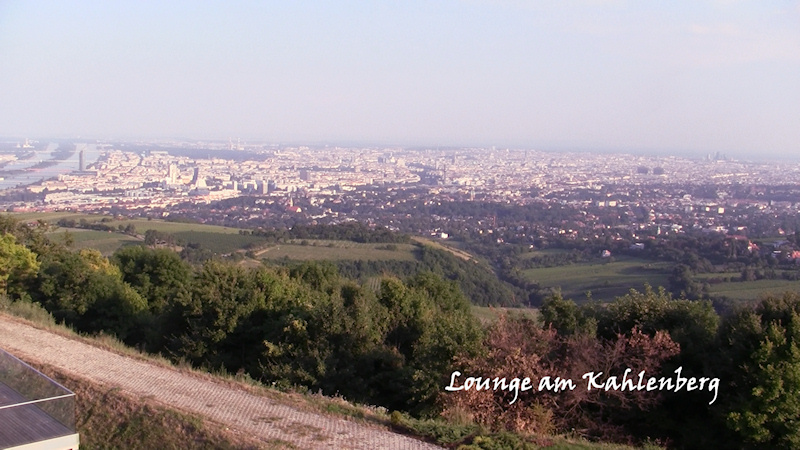 You can conviently reach Kahlenberg by public transport, taking bus 38A from U4 Heiligenstadt (via Grinzing), which I really recommend doing from time to time or if you happen to visit Vienna, do not miss it. 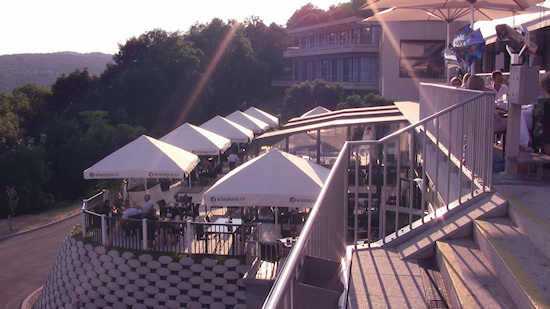 On top of Kahlenberg you can visit St. Josef church, a panoramic terrace (free entry), Stefanie lookout, Kahlenberg hotel, restaurant and lounge, and the new MODUL university. And another insider tip: on the way to the mountain top, exit at the bus station "Krapfenwaldgasse" and visit the lovely outdoor swimming pool Krapfenwaldbad (open May 2nd – September 18th).